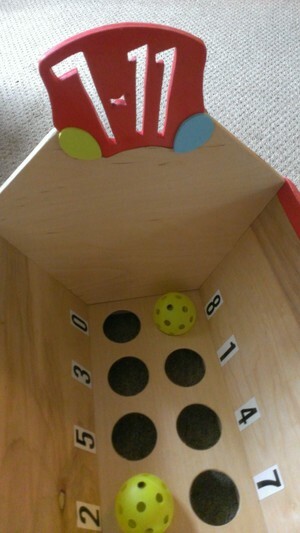 7-11 Carnival/Party Game. Comes with two plastic baseballs. 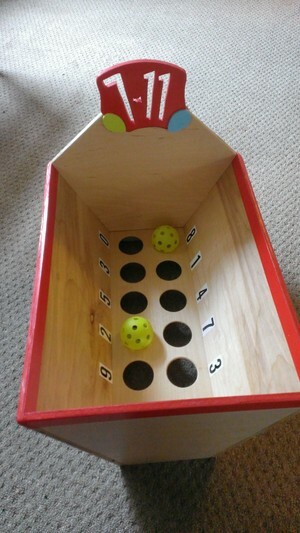 Object of the game is to toss two ball and add up to 7 or 11. Great for parties and all your functions. Will deliver for a fee.